Dress - ModCloth (similar here) | Denim Jacket - Forever 21 (similar here) | Gold Bracelets - Kendra Scott | Necklace - Kendra Scott | Pearl Bracelet - TAudrey | Heart Bracelet - TAudrey | Heels - ShoeDazzle (similar here) | Handbag - Cambridge Satchel | Nail Polish - OPI "Rose Against Time"
Don't forget that the huge ShopBop Friends & Family sale is going on until April 7th. 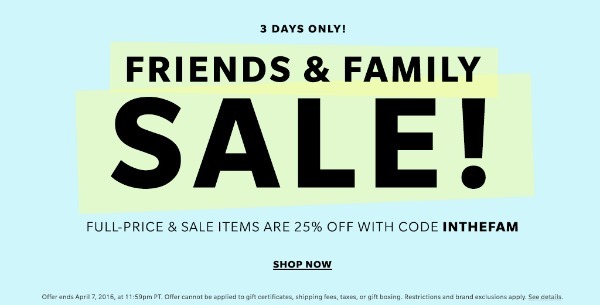 Use the code INTHEFAM at checkout for 25% off of your entire order, even sale items. Below are some of my favorite items that are currently available! That dress is so cute! Love that print! What an adorable dress! I love it!! 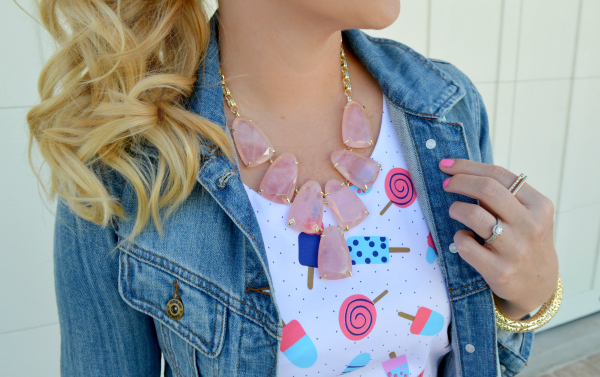 I love the gorgeous popsicle print! 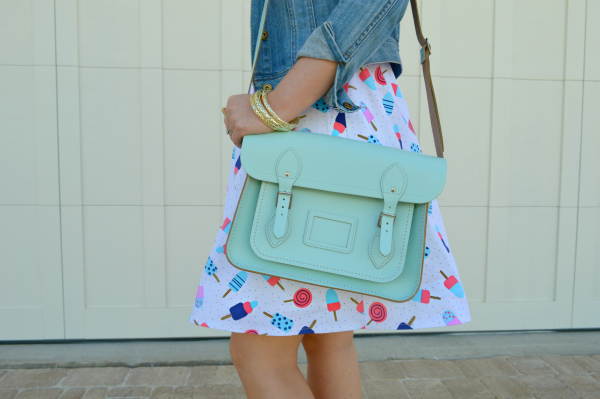 Such an adorable look, esp with the candy colored accessories. Love the print! This dress is too cute! 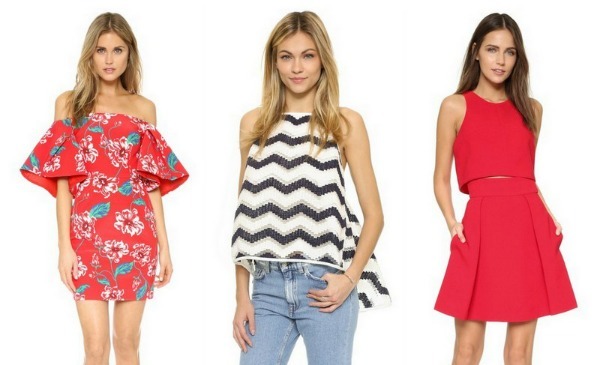 Also, great picks from Shopbop! Such a cute and gorgeous look! Love the dress and the jewelry. This is adorable! I love the pink shoes with that dress! such a fun outfit. absolutely love the bag. Omg this dress is the cutest!! I love how you styled it with the denim jacket & coral heels! I'm obsessed with this fun dress and how you paired it with a gorgeous mint bag!! What a cute summer dress! I love how you paired it with the jean jacket! Such a cute look ! I love your dress. Stunning look! Love your dress, so cute! You have a great thanks for this post . All are looking stunning here . Fascinating and fashionable . All looking beauty.